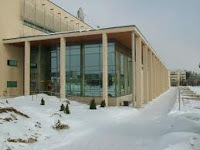 Tampere University of Technology (TUT) is one of Finland’s leading learning and research institutions with its some 12,200 students and 2,000 employees. The University operates in close cooperation with industry and business life and offers exciting career opportunities in a wide range of disciplines and fields. Tampere University of Technology (TUT) invests in doctoral education. The doctoral programme of the President of the University is a doctoral programme that covers all the discplines represented at TUT and has 50 positions available for doctoral students. The successful candidates must be eligible for studies leading to a scientific or artistic postgraduate degree as set forth in the Universities Act (558/2009 37§). The requisite degree must be completed before submitting the application. Candidates do not have to hold official postgraduate student status at TUT when submitting the application. - your master’s thesis must be graded 4 (or equivalent) or higher on a 1-5 scale. Demikianlah informasi mengenai 3 Researchers to the Doctoral Program of the President of the University semoga berguna bagi anda.